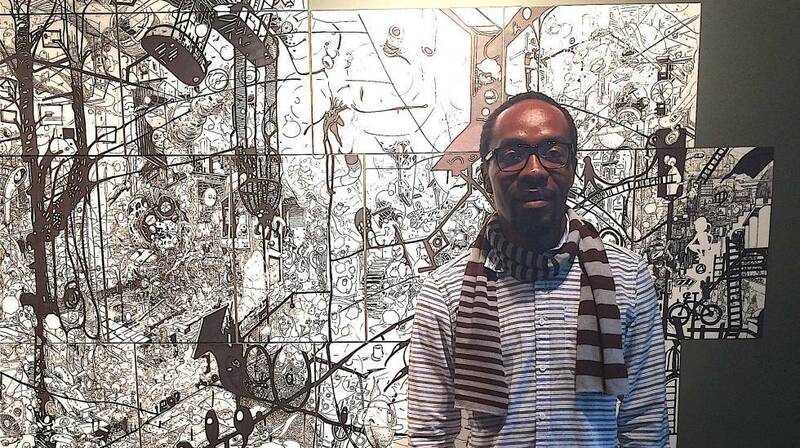 Ramón Esono Ebalé, a political cartoonist and graphic novelist from and currently detained in Equatorial Guinea, has been given Cartoonists Rights Network International’s Courage in Editorial Cartooning award. “Every year this award is given to the cartoonist or cartoonists who have exhibited great courage and self-sacrifice in the pursuit of their craft and in the exercise of free speech,” writes CRNI in their announcement of the award. Ebalé was recently detained and is being held without charge in Equatorial Guinea’s notorious Black Beach prison. Ebalé, who now lives in El Salvador, had made a brief return to Equatorial Guinea in order to renew his passport. He was arrested on September 16, but the cartoonist has not yet been taken before a judge (required under Equatoguinean law within 24 hours) or charged with a crime (required within 72 hours). 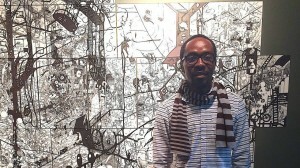 Ebalé, who works under the Spanish pen name Jamón y Queso (Ham and Cheese), frequently targets Equatoguinean dictator Obiang in his political cartoons. He also used Kickstarter to fund a satirical online graphic novel called La Pesadilla de Obi (Obi’s Nightmare), which imagines what Obiang’s life would be like if he suddenly became a regular Equatoguinean citizen. Human rights advocates feared that Ebalé would be charged with criminal defamation for his caricatures, but he will more likely be charged with money laundering and currency counterfeiting — neither of which charge would stand up to scrutiny outside the corrupted judicial system in Equatorial Guinea — so authorities can avoid the perception that they are curtailing free expression. Previous recipients of the Courage in Editorial Cartooning Award include Ali Ferzat and Aseem Trivedi, Eaten Fish, and Atena Farghadani. This year’s award will be given to Ebalé in absentia during this weekend’s annual convention for the Association of American Editorial Cartoonists. You can join a petition in support of Ebalé here.